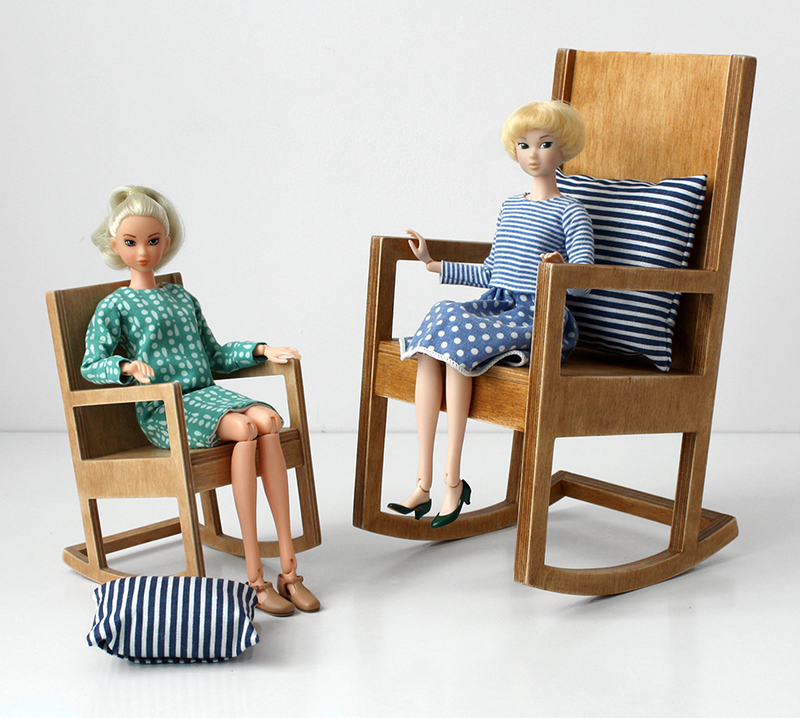 Here is the big rocking chair for 16 inch dolls. It had to be something along the lines of my playscale rocking chair 617-01. You can compare the big and small ones below. My Momokos had fun.